Commander, we've detected several hostile Ogres heading to your Friendly Local Game Store. We expect imminent destruction. Gather your forces and rendezvous with others to defend the location immediately. Ensure you coordinate with the General at the FLGS and follow his orders to the letter. Victory will be well rewarded. Good luck. 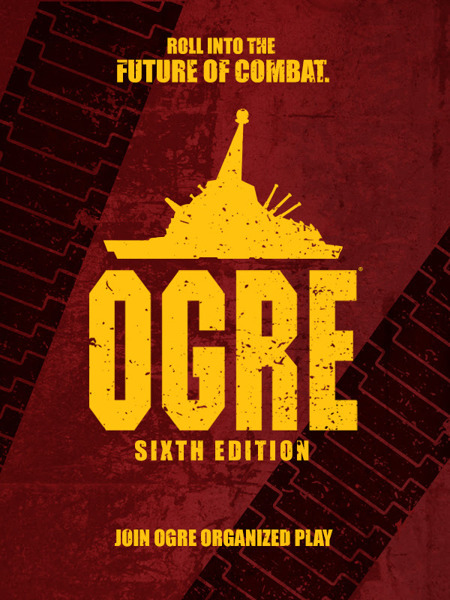 With the release of Ogre Sixth Edition, we are proud to announce Steve Jackson Games Organized Play! Players everywhere will be heading to their friendly local game store to battle for victory, awesome Ogre Sixth Edition rewards, and, above all else, the recognition they deserve! Join up, starting in January, to learn what it takes to defend your Command Post or find the perfect Ogre to wipe out your enemies! On Feb 11, 2017, we are inviting stores to host the first ever #PlaySJGames Event to show off Ogre Sixth Edition. So make sure your favorite local game store signs up today! The Ogre Launch Kits are free to our hobby game retailers, and first come, first served for the first 200 stores! Those retailers who sign up will receive everything listed below and more! Retailers! We are ironing out the last details of our software for Ogre Organized Play. Sign up now for our Retailer Newsletter through our Store Finder for a special email midway through the month on how to take part!